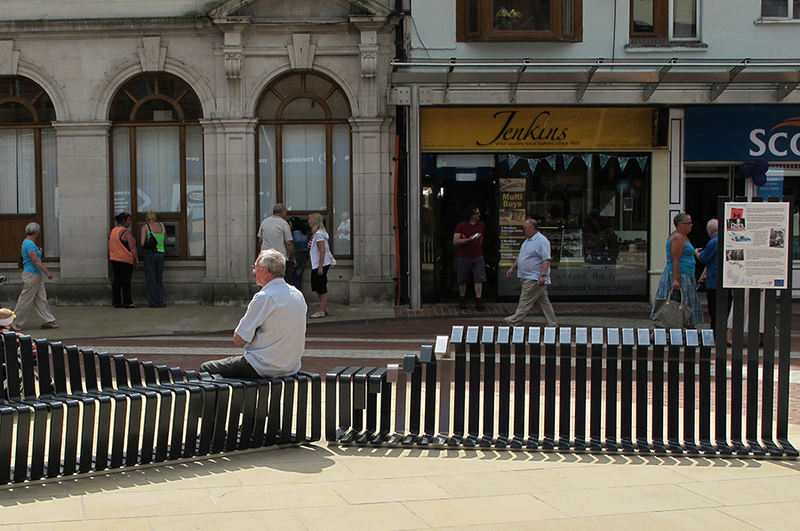 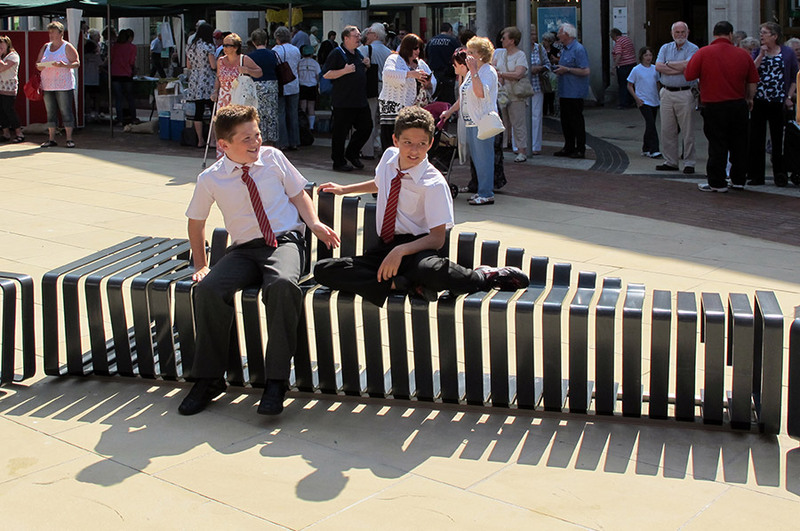 Integrated into the physical, social and cultural infrastructure of Llanelli, this project introduces site-specific public seating, referencing the tin-plating industry that used to be at the heart of the town. 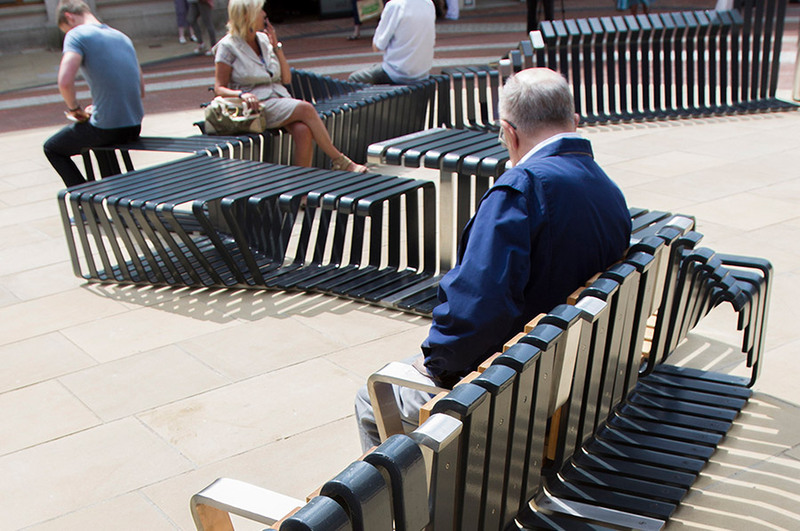 The artwork is sited at the busy pedestrian junction of two main shopping streets and the St Elli shopping centre, and influences how the public uses the square; a busy, sociable space with many different people passing through, by creating different types of seating arrangements for a variety of social and solitary scenarios. 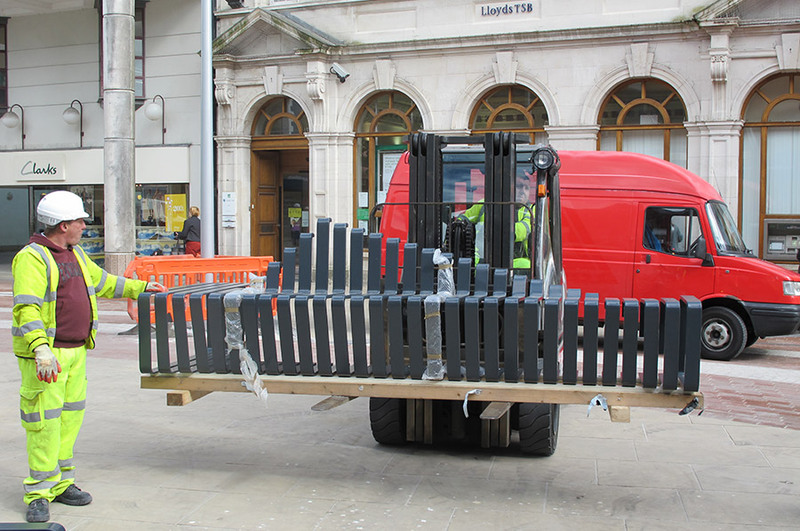 Commissioned by EMProjects on behalf of Camarthenshire County Council, the project formed part of a wider regeneration of the town centre and constituted the principal new public art commission for the area. 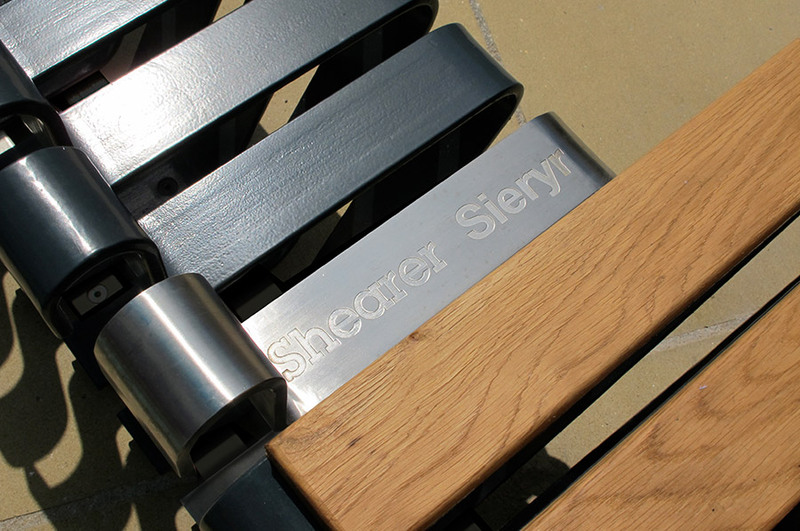 We were inspired by the tin plate production that is synonymous with Llanelli. 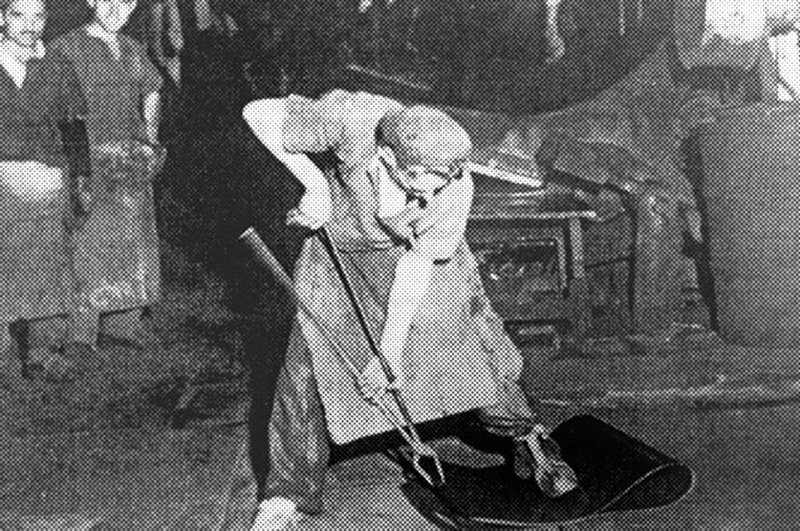 By the latter half of the 19th century the town was such a significant regional producer of tin that it was referred to as “Tinopolis”. 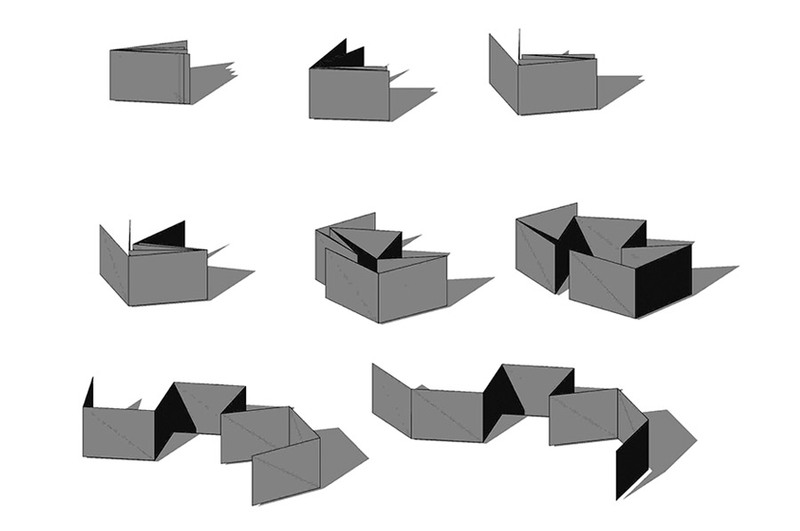 We developed this concept of the ‘fold’ which was a critical part of the tin plate production, as steel bars were fed through a series of rollers, compressing them and then repeating the process until the desired gauge was produced. 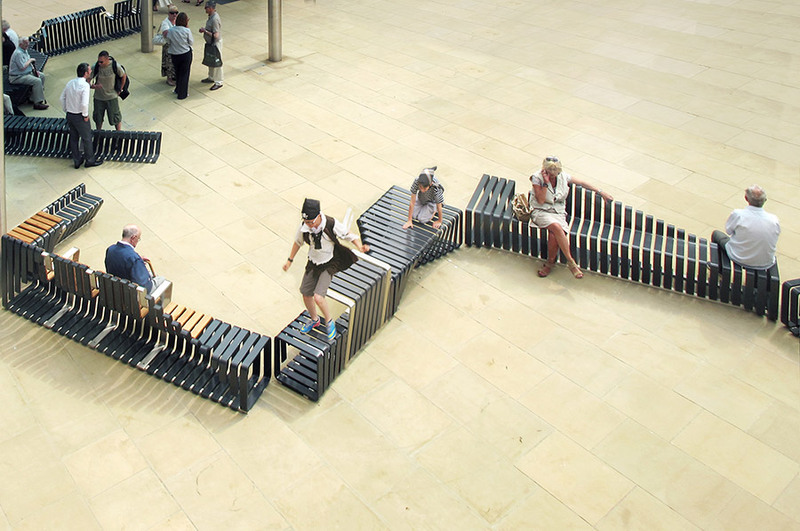 The form of the bench was derived from the concept of unfolding these plates, both in the plan and sectional profiles of the seating, which differs along its length, and allows it to become a perch, table, or loveseat simultaneously.